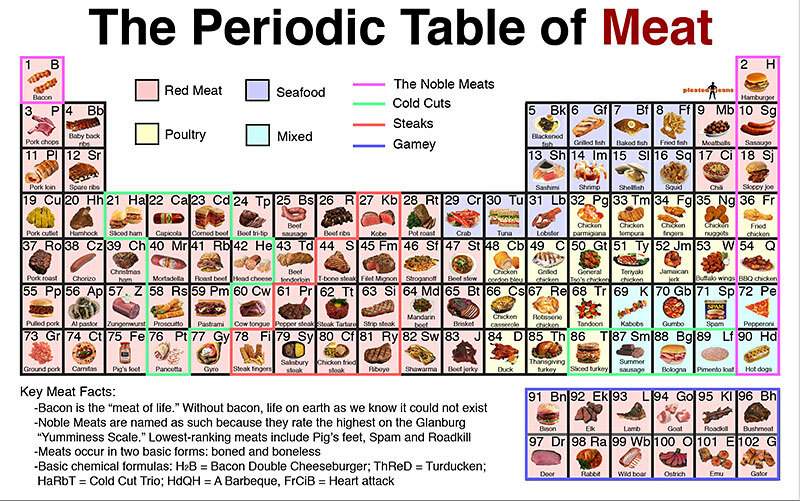 Gather round, meatologists! This is the only reference you need, a comprehensive table of the world’s meats, from the Noble meats to the cold cuts. Check the full-sized version here.